The lane was set up last year and has 9 holes. Please contact reception if you want to play. A play costs kr 30, -/player. next to the hotel wing. kr 600,- for 3 hours. In addition fuel that costs kr 15, - per liter. We have 4 canoes. Contact reception if you want to rent. The price for one canoe 0-3 hours is kr 175, -. Rental 3-12 hours is kr 275, -. kr 200, - up to 3 hours. Rent 3-12 hours costs kr 350, -. 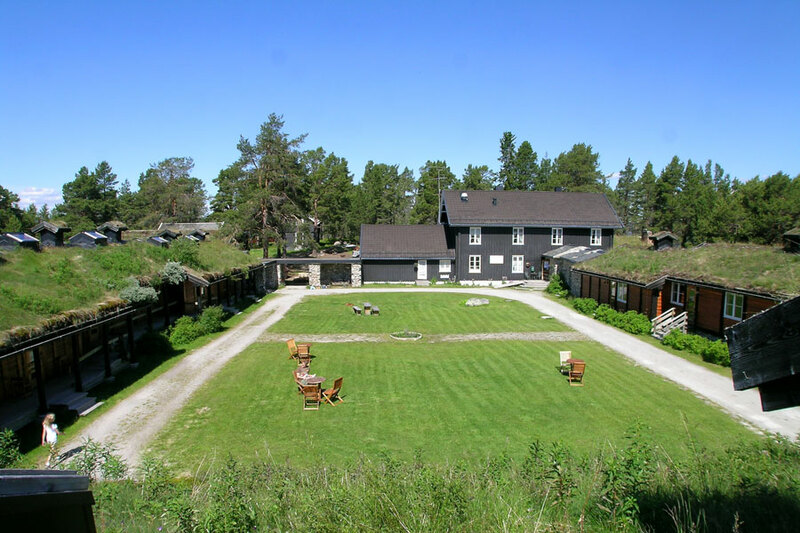 The beach volleyball course lies between the miniature golf course and the cabin "Femundstua". Contact reception if you want to borrow a ball. 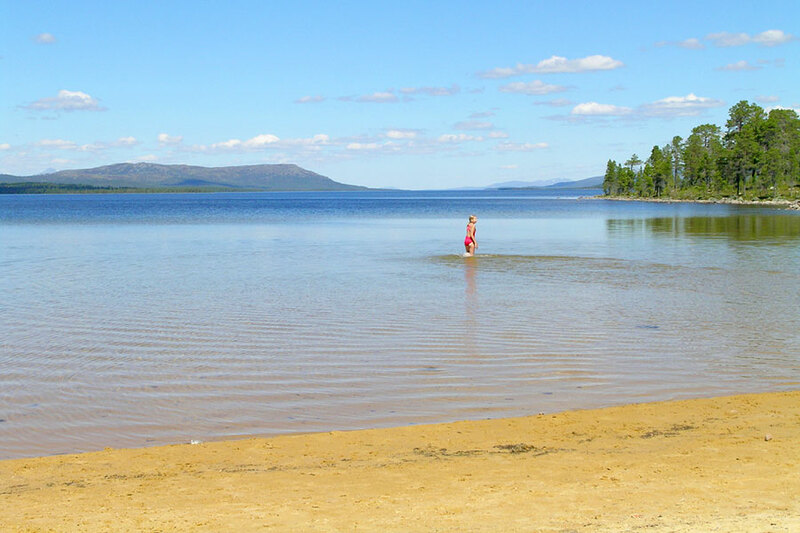 At Femundtunet there is a fine sandy beach. The water is clean and nice, but often a bit chilly because Femunden is a mountain lake. But during a nice summer the temperature can reach an acceptable level. This summer we spend quite a lot of money to get a new broadband internet access to Femundtunet. The conditions until now has not been quite good so we are looking for another solution. We have really focus on this, so a bit later this summer ..
"Femund II" this summer. It runs between "Elgå" and "Søndervika" and it feels like sailing on the roof of Norway when the boats glides through the water on the second lagerst natural lake of Norway. 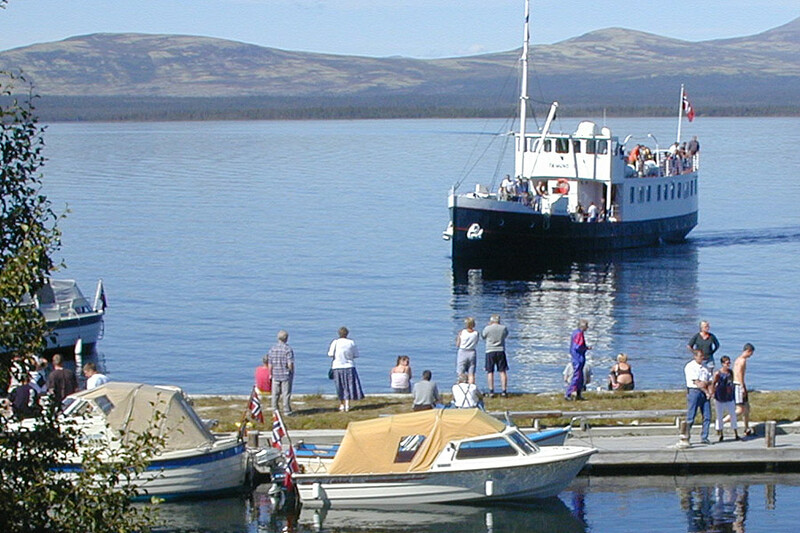 "Experience Femundsmarka" of MidtNorsk Natur. Horseback riding, canoeing, biking, hiking, trips with guide, hunting, rafting, etc.